Church strengthening and leadership development in Cape Town, SA. 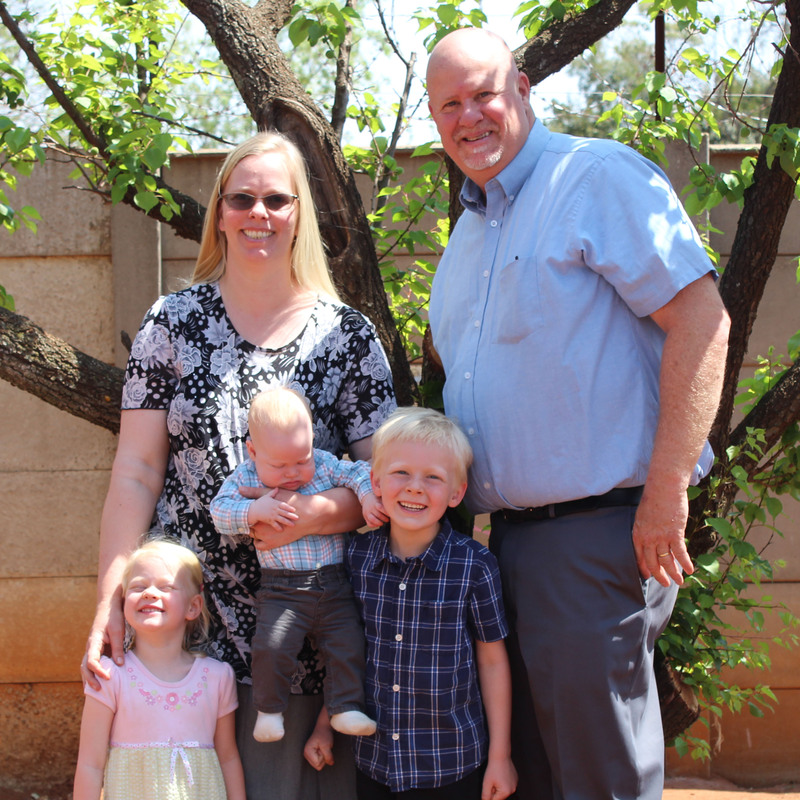 By God’s grace, David and Luci have been serving in Cape Town since 2016 through church strengthening and sharing the gospel. David’s ministry is twofold: he is the interim pastor/teacher of Living Hope Bible Church and is helping to further develop the leadership, disciple the men, and lead Tuesday Bible study. He is currently teaching at the Evangelical Bible College in Mitchells Plain. Outside the home, Luci serves by discipling and encouraging the ladies of the church. We continually pray for the saints and for the lost souls we encounter in our ministry. David was born in Boston, Massachusetts. He graduated from Alfred University (upstate NY) in 1985 with a B.S. in Marketing. He spent most of his adult life in New Hampshire, and moved to California in 2001 in pursuit of the American dream. In December of 2007, God brought David to his knees, spiritually bankrupt at a rehabilitation center, where he heard for the first time (through an outreach ministry of Grace Community Church) the gospel that Christ came to save sinners like himself. God granted him repentance according to the Scripture with a new heart (Ezekiel 36:26–27). In March 2008, he began to attend Roosevelt Community Church and was baptized that April. Since his conversion, his desire has been to grow in the knowledge of the Lord Jesus through His Word and tell others about Him. David has served as a deacon at Roosevelt Community Church since February 2012, where he had the privilege of serving the elders and God’s people. He then became the pastoral intern in September of 2012. He also had the privilege to begin study (2012) and graduate from The Master’s Seminary in 2016 with his Master of Divinity degree. David and Luci have been married for three years. They met at Roosevelt Community Church when David first started attending. By God’s grace, they have two beautiful children David (two years old) and Ruth (one month old). They love to spend time together, going for walks on the beach, hiking trails, riding bikes, reading God’s Word, praying, and doing family devotions. Would you prayerfully consider partnering with us by praying and sacrificially giving to further the work here in South Africa? Make a one-time or recurring credit card donation to this ministry partner by filling out the form at the bottom of this page. To set up a monthly direct deposit, print the form and follow its instructions (Use missionaries "Fall, David and Luci – South Africa"). To give by check, send a check payable to "GMI" with "Fall, David and Luci – South Africa" on the memo line to 13248 Roscoe Blvd. Sun Valley, CA 91352. That our marriage and growing family would display the gospel's power. That David’s pastoral and preaching ministry would bear fruit in maturing the saints. That the Lord would open an opportunity for us to continue to serve in South Africa to the glory of God!